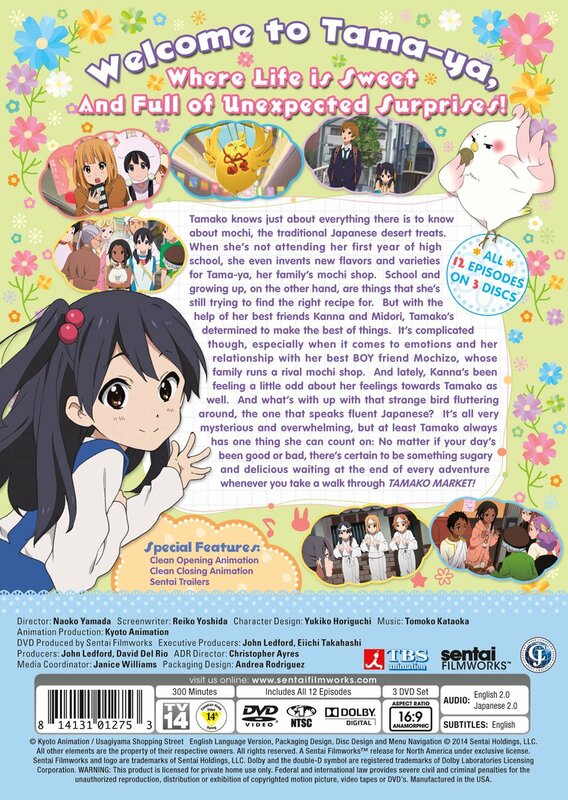 Tamako knows just about everything there is to know about mochi, the traditional Japanese dessert treats. When she's not attending her first year of high school, she even invents new flavors and varieties for Tama-ya, her family's mochi shop. School and growing up, on the other hand, are things that she's still trying to find the right recipe for. 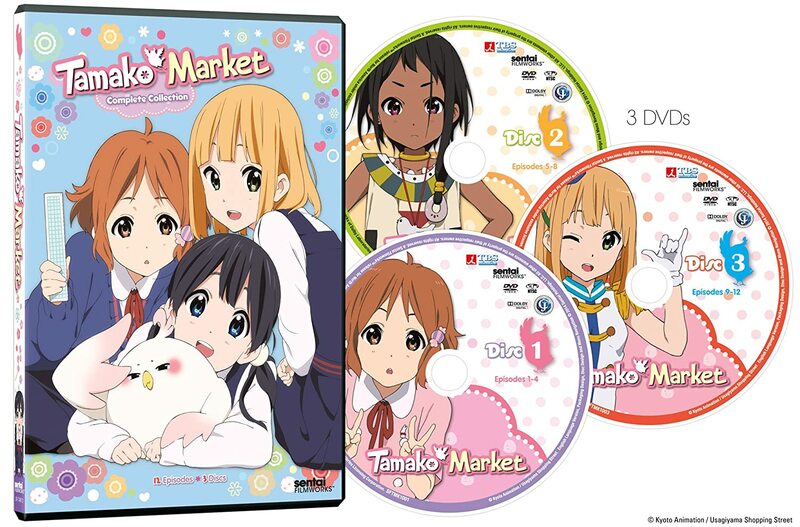 But with the help of her best friends Kanna and Midori, Tamako's determined to make the best of things. It's complicated though, especially when it comes to emotions and her relationship with her best BOY friend Mochizo, whose family runs a rival mochi shop. 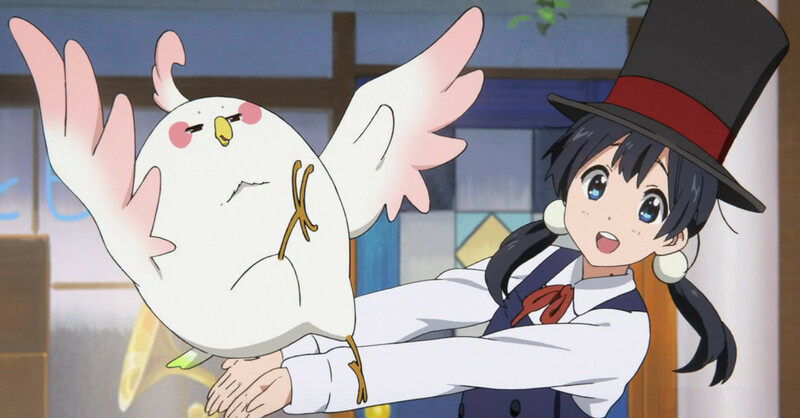 And lately, Kanna's been feeling a little odd about her feelings towards Tamako as well. And what's with up with that strange bird fluttering around, the one that speaks fluent Japanese? It's all very mysterious and overwhelming, but at least Tamako always has one thing she can count on: no matter if your day's been good or bad, there's certain to be something sugary and delicious waiting at the end of every adventure!